Hope it was lovely. I spent some time showering in cold water (water heater still broken), trying sort out & clean things in the master bedroom, sweating, doing large amounts of laundry, sweating, taking photos of the garden before it goes all crispy, sweating, taking more crappy phone pictures of a finished project, a work in progress, and some recent stash enhancement, and sweating. Did I mention it is hot? I’ll save the garden stuff for the next post, and I still have some serious catching up to do (I can hardly WAIT to share my much belated “Mothers’ Day” present pics with you, many yarn crimes have been tagged for sharing and yes Virginia, there IS a podcast), but there is some actual knitting /yarn content here for you. I’m trying to make this more exciting with the animations. Is it working? Well, mostly. 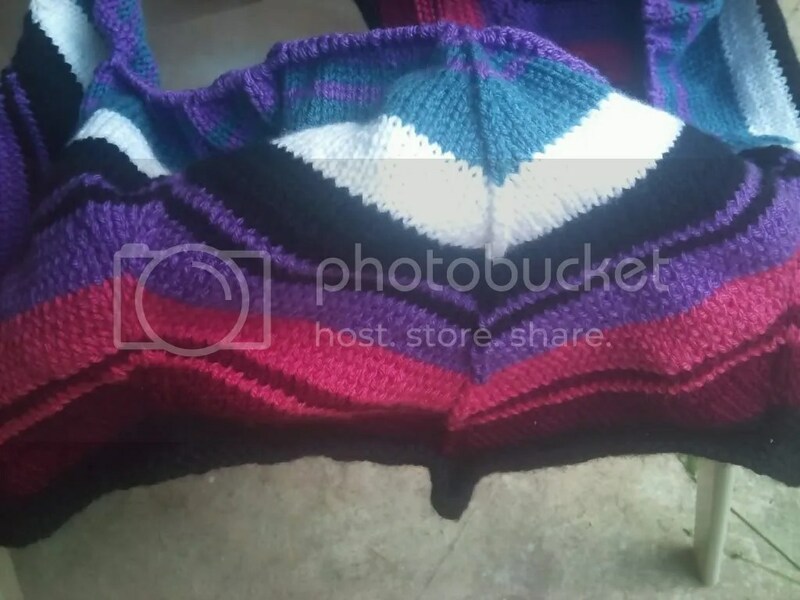 A few ends to weave in here and there and perhaps some blocking….. I have begun the afghan for Mom & Dad and I’m having fun with it. 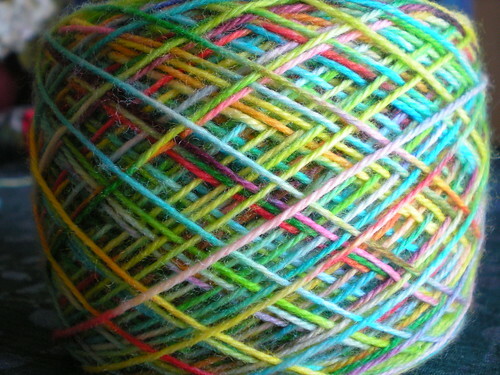 So much fun to see how each color looks next to the others – I’m neglecting things I really need to get done. And now the fun stuff! 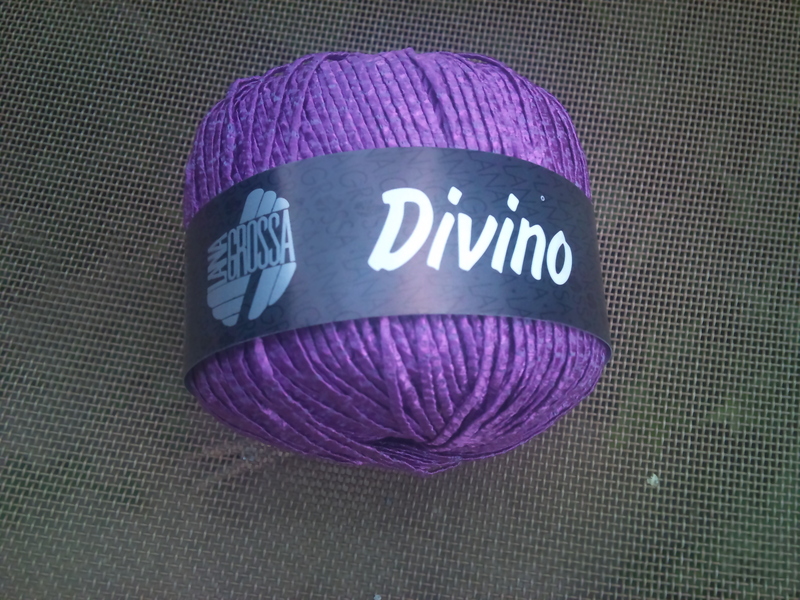 I got this because I’m really curious to see what it looks like knitted up, and to see if my hands can take it. 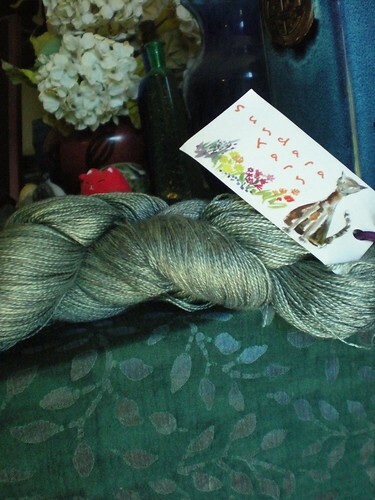 I have a hard time knitting cotton… And it would be such a pretty summer shawlette…. A new book! (this actually came in the mail). I wanna see if this will be useful in chart reading. 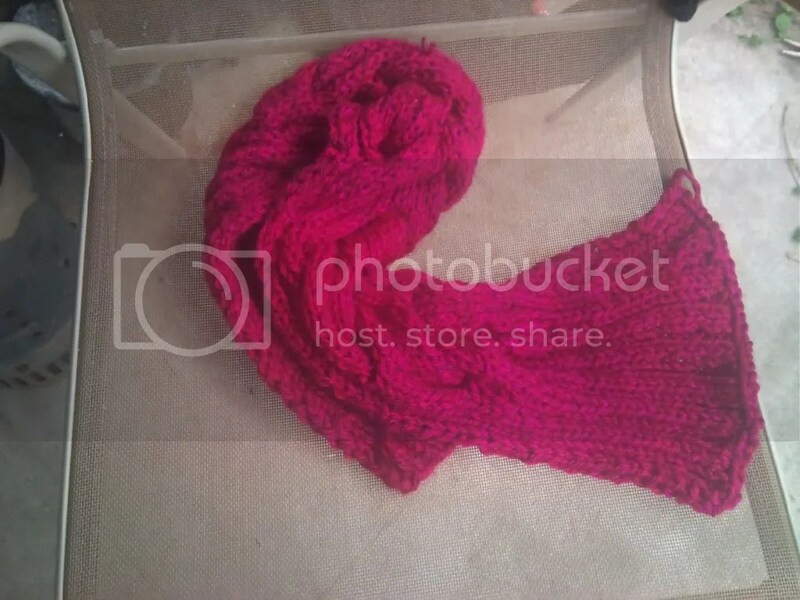 I’ve been itching to start a shawl, and I do so love the look of this one. 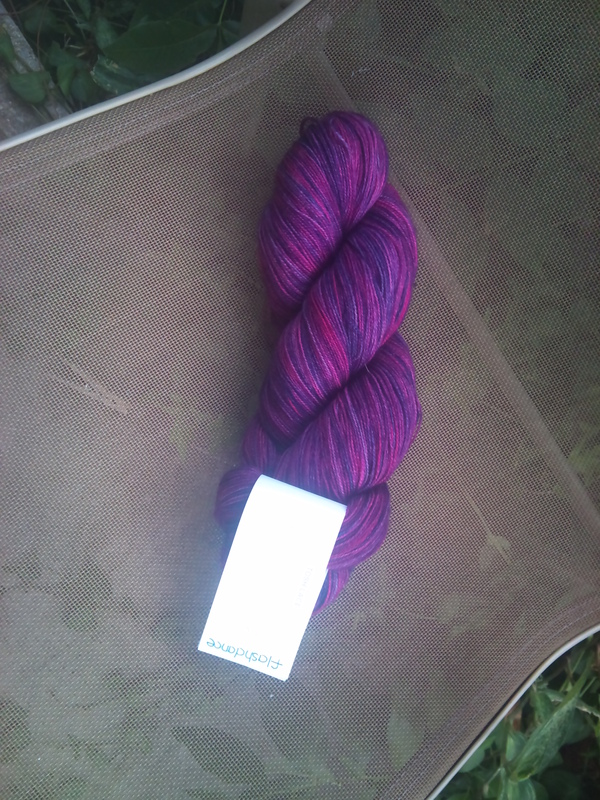 After consulting with the yarn enabling salespeople at Yarn Expressions, I decided on this yarn. I could make 2 of them, right? Yup, I can. I couldn’t leave it behind again….I just couldn’t. 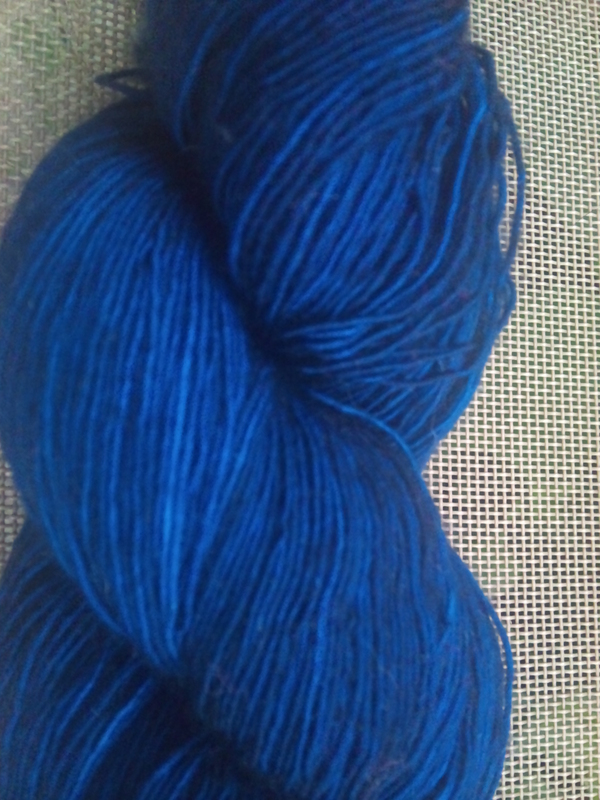 Prairie – another Madeleinetosh laceweight! 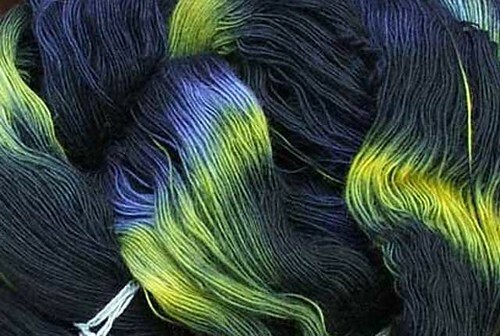 The color, which is called “Fathom”, is very different from the picture; it is deeper and more tinged with black. First off, let me say that I love all the comments!!!! And secondly, I wish to apologize that my replies aren’t lining up with each comment I’m replying to (making for some confusing reading fo sho). I’ve spent several hours trying to fix it and no dice so far. Please be patient with me! 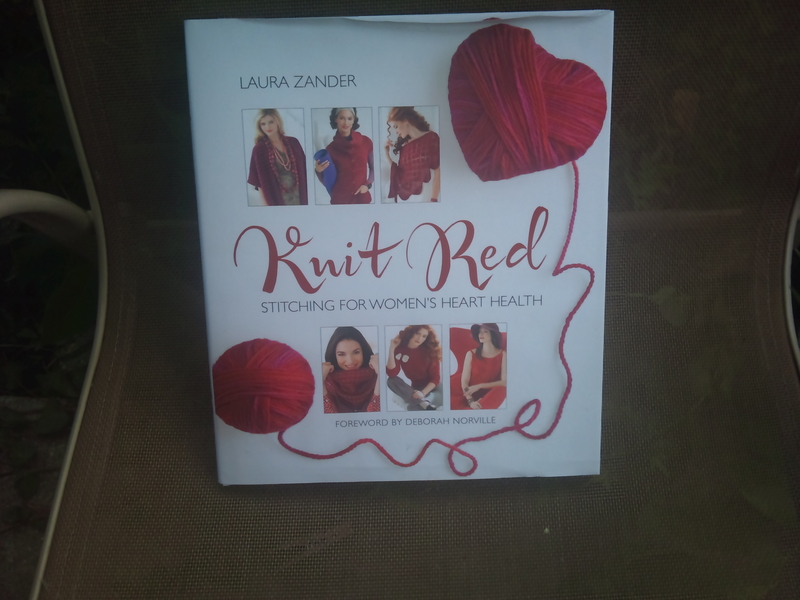 So….a very good friend of mine who is recuperating from surgery said that she wants to learn to knit! 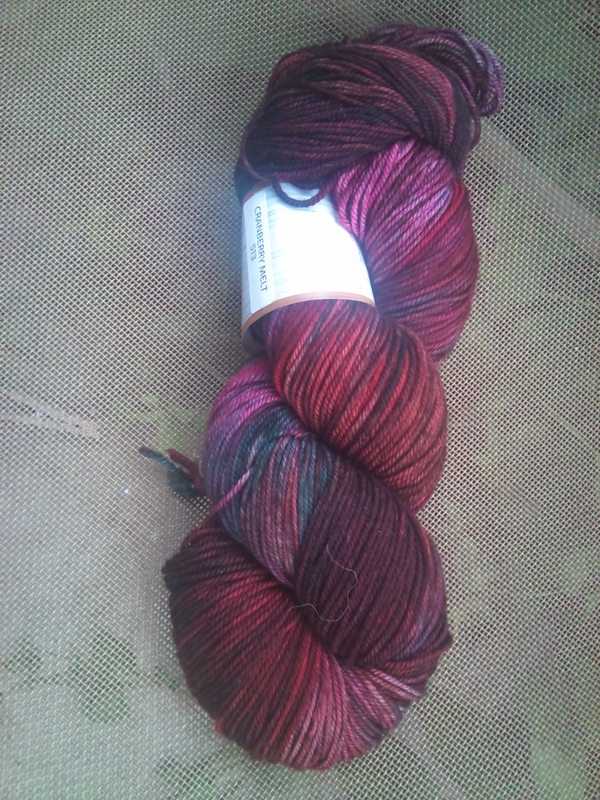 So I wandered on down to my LYS – you know, just to get a few things to start my friend off right – and spent WAY more $ than I had planned. I don’t have time to photo this afternoon; tomorrow looks pretty good! Thanks for all the comments and a big smiley welcome to all the new folks. ….it’s really, really cold! The weather wonks say it’s 26 degrees outside but it feels like 15. And this is ALABAMA. We had snow last night and this morning…and they didn’t even cancel school and there was milk and bread in the stores. Very weird. And Robby Hecht is gonna be our first ever house concert artist!!!!!!!!!!!!! I’m so very excited about this. Go check out the house concert website. Now I gotta go finish some swaps n stuff. It’s been *quite* a day here a “Chez Oney” – many packages in the mail!!!! While on vacation, I got some things, and several of the things I ordered came plus my HSKS5 Package and one from my secret pal! Yay! Yay! Yay! I think I will do separate posts for the SP package and the Hogwarts Package…. 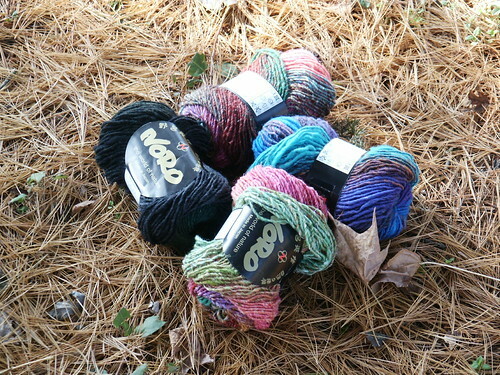 Noro Silk Garden for another scarf….oh my goodness I can hardly wait to start on it…. 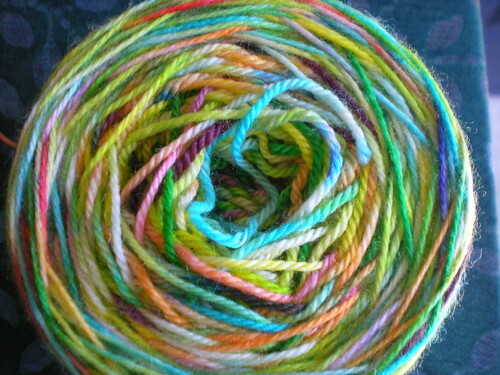 I wanted to try this out….I may save up some $ so as to make a sweater out of it. This pic is more accurate for color. 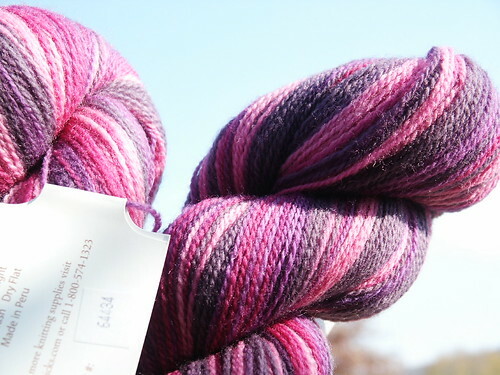 This is the RYC Cashsoft 4 ply I found at half price in the color “Deep”. I’m excited to start this too. Then the West Virginia haul…. 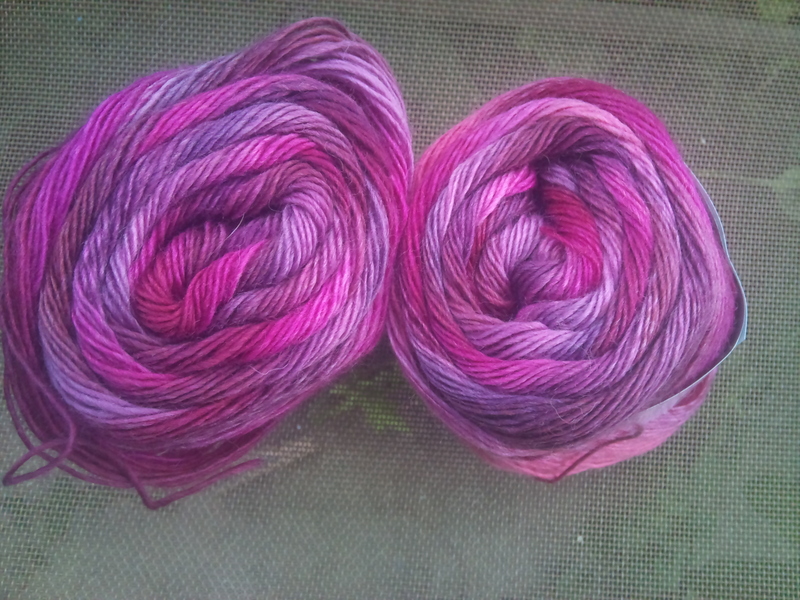 Muench “Touch Me” (it’s more purple in real life). 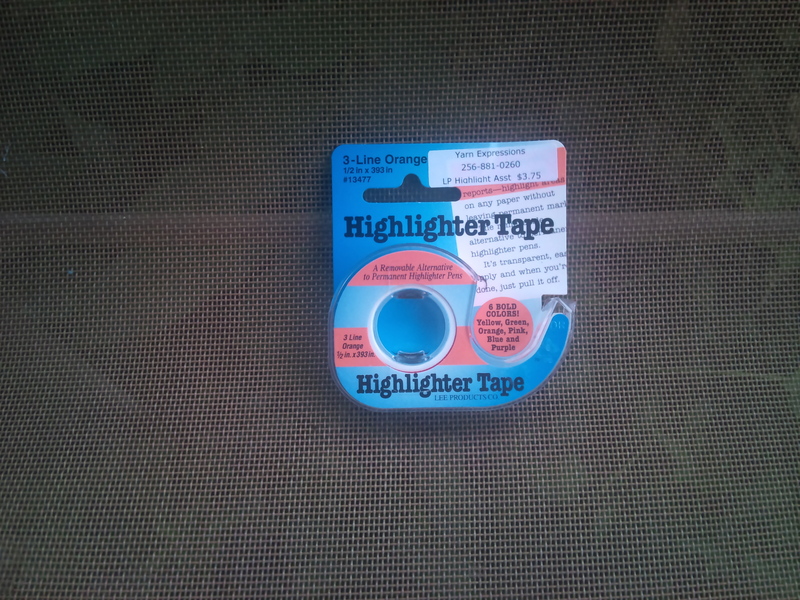 It’s soooo expensive (I’ve had this before) but I just gotta use it again. 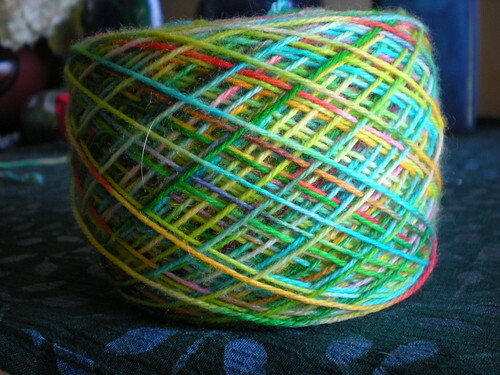 There’s actually 3 skeins of this…..
recycled sari silk from Nepal, and 2 skeins of this for my secret pal…. 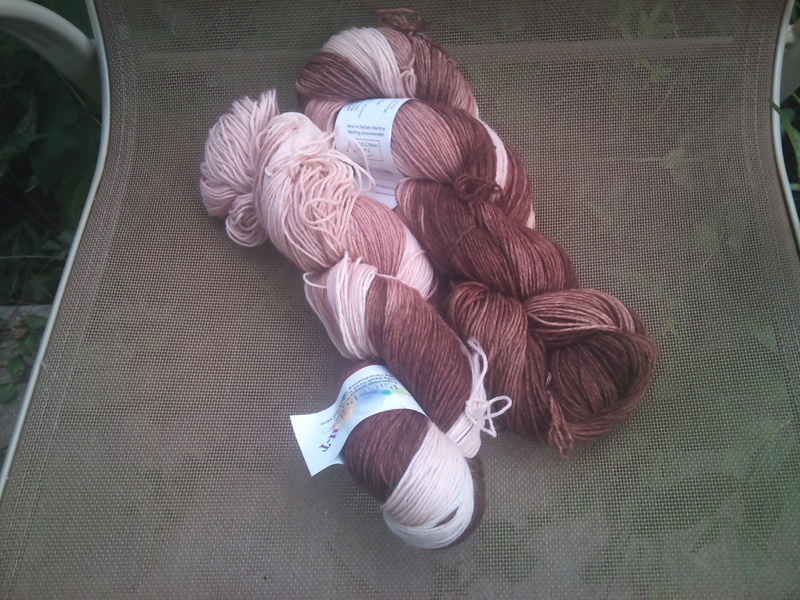 That’s undyed yarn; the shop actually had 5 colors-I was trying to restrain myself…..
And I also got some glove needles and some Addi Lace Turbos. I am definitely a convert!!!!! So lovely and pointy. 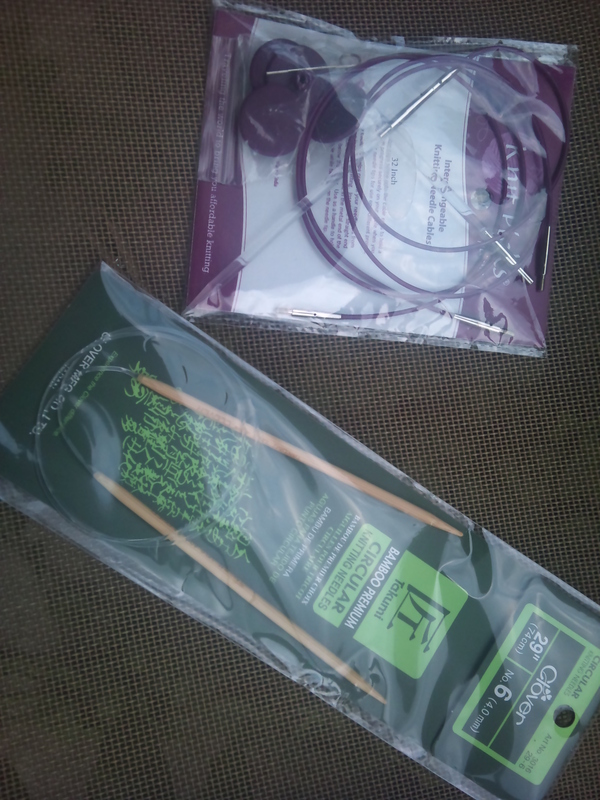 I must have more of these…….. I will do more pictures tomorrow. 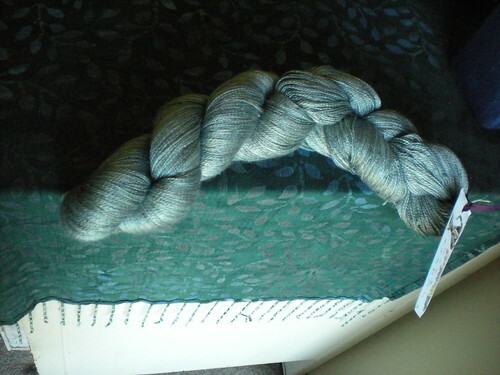 As promised, some pictures from the new camera…..
1000 yards of 100% silk laceweight -= Granite Falls colorway. This picture is kinda close to the right color – must be seen and fondled to believe…..
each approx. 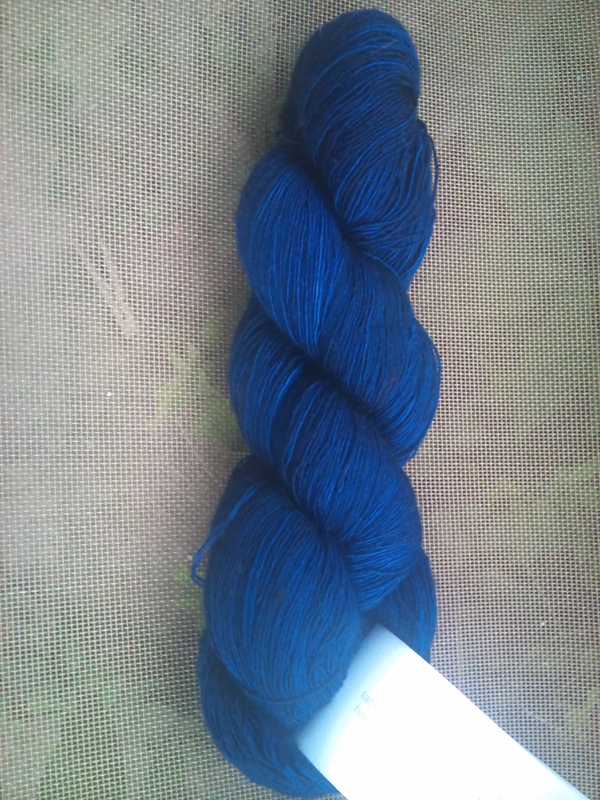 400 yards of superwash merino?/nylon sock yarn – dyed at Yarn Expressions several weeks ago. I call this one “Brights” – verra original I know…. 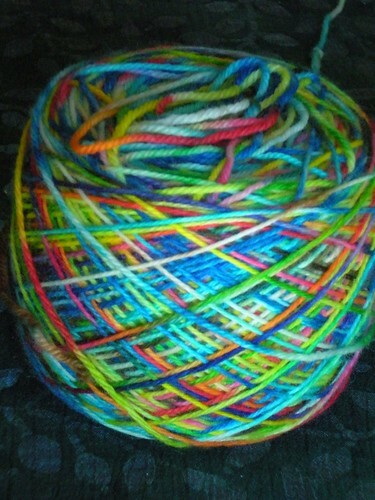 I took this with the flash – I adore how the colors came out on this. I think these will both become pairs of mittens. I cannot believe it!!!!!! 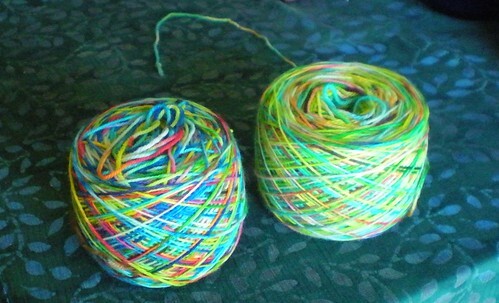 I won some Miss Babs sock yarn and a something from Woolgirl– I do not know what it is; I do NOT care! I love everything by Woolgirl. I’d like to thank the Academy……. 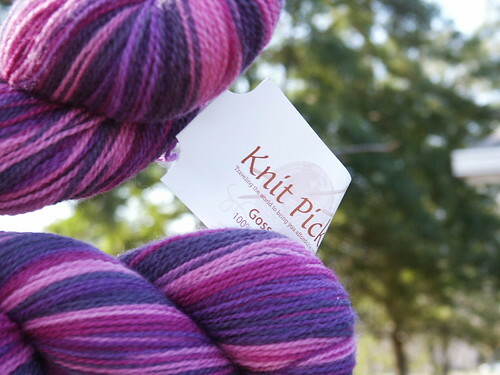 Now I can’t say I never win anything, and if’n yer gonna win something, Miss Babs sock yarn is really tremendous. SQUEEEEEE! Got back late last night from Wings to the Spirit in Florida. It was successful beyond my wildest dreams. I promise to blog more in the next week about that (and also my pilgrimage last February….). Currently my digital camera I cannot find! So I’m low on pictures…. 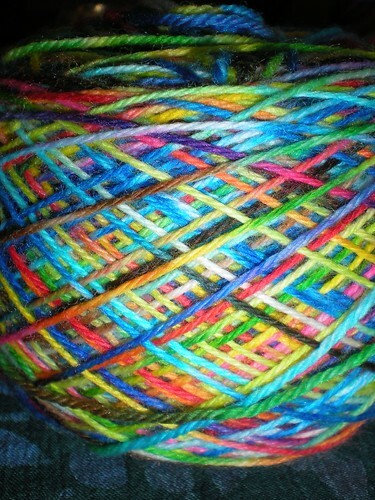 Posted in knit/yarn and tagged Nebraska, win, Woolgirl, yarn on May 6, 2008 by helenkosings. 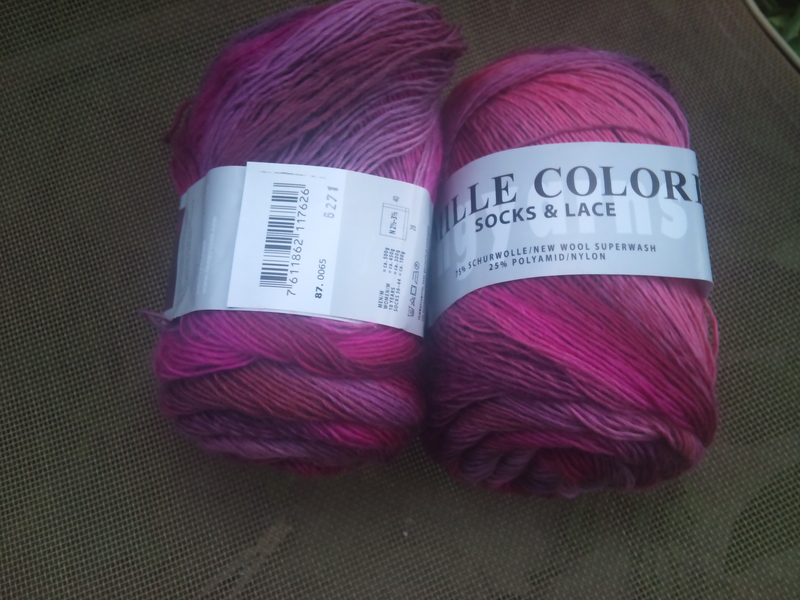 Beautiful yarn in de mail! 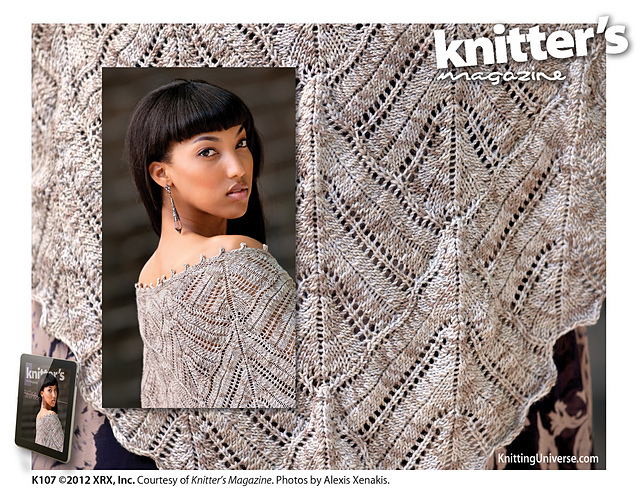 I wanna make another lace scarf (for me even) and while I couldn’t sleep not too long ago I found this yarn at KnitPicks …. 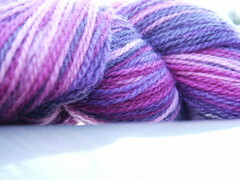 for $2.99/skein! What a deal….and I just love the colors. Because I can’t remember anything these days, I went to the mailbox and was totally surprised and delighted to see the yarn there…It ‘s so lovely being simple and easily amused. Ian, my homeschooler – whose art this year is photography – took these pictures. This one is the most accurate color wise. He also took a picture of some other recent acquistions, ‘cos their so pretty. 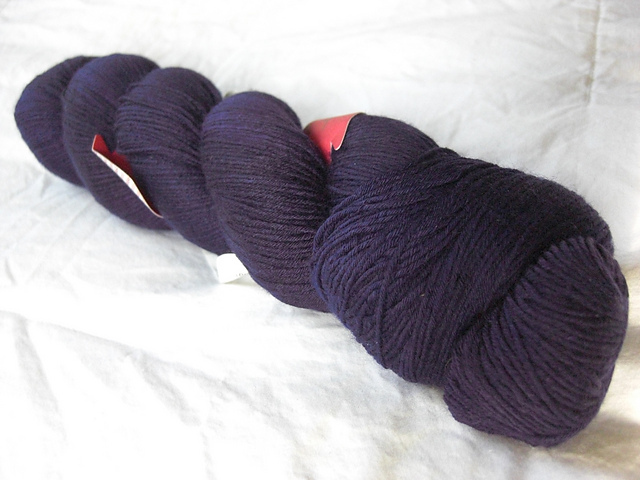 And Ultra Alpaca is fast becoming my favorite yarn……..